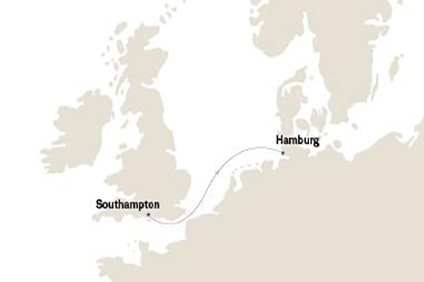 2 Night Cruise sailing from Southampton to Hamburg aboard Queen Victoria. 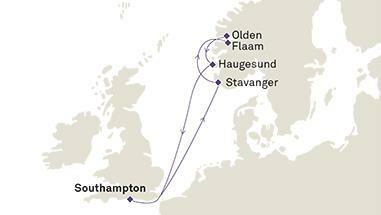 14 Night Cruise sailing from Southampton roundtrip aboard Queen Victoria. Big Balcony Event - Book Before 30 April 2019! 12 Night Cruise sailing from Hamburg to Southampton aboard Queen Victoria. 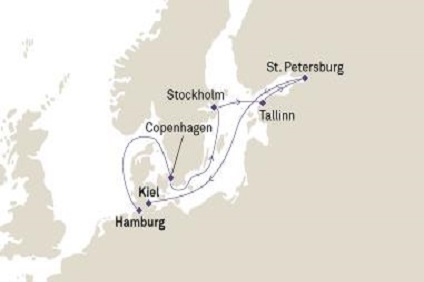 9 Night Cruise sailing from Hamburg to Kiel aboard Queen Victoria. 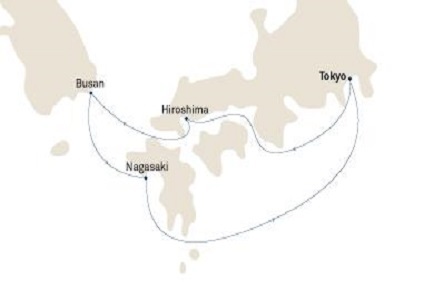 27 Night Cruise sailing from Yokohama to Vancouver aboard Queen Elizabeth. 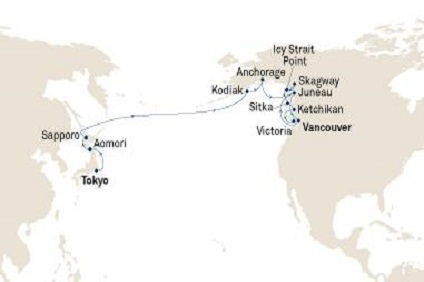 17 Night Cruise sailing from Yokohama to Vancouver aboard Queen Elizabeth. 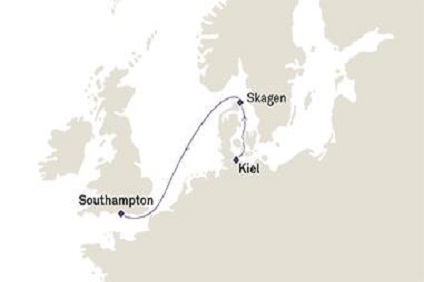 3 Night Cruise sailing from Kiel to Southampton aboard Queen Victoria. 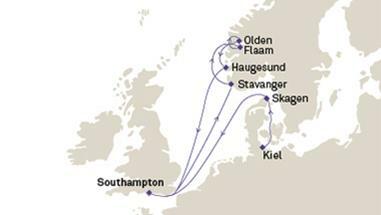 10 Night Cruise sailing from Kiel to Southampton aboard Queen Victoria. 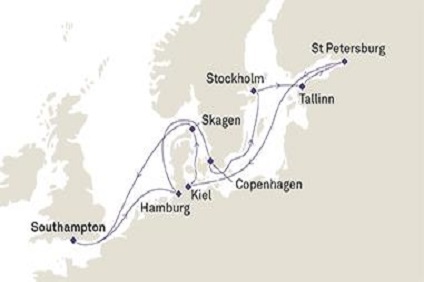 7 Night Cruise sailing from Southampton roundtrip aboard Queen Victoria. 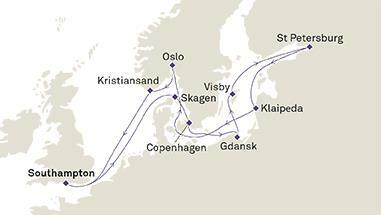 16 Night Cruise sailing from Southampton roundtrip aboard Queen Victoria. Onboard Cunard you have many choices when it comes to dining. Single Seating dining is available, which means guests can choose to dine anytime between 7 and 9pm. On QM2 and QE2, the Britannia and Mauretania restaurants respectively offer a choice of an early or a late sitting for dinner. All other restaurants are single seating dining. 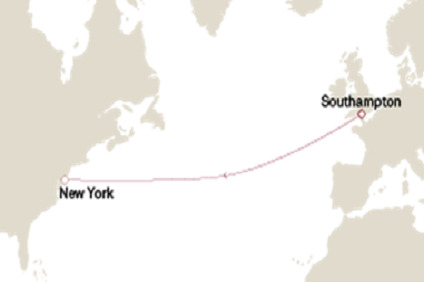 On both QM2 and QE2, your accommodation is paired with a specific restaurant for your formal dining arrangements. 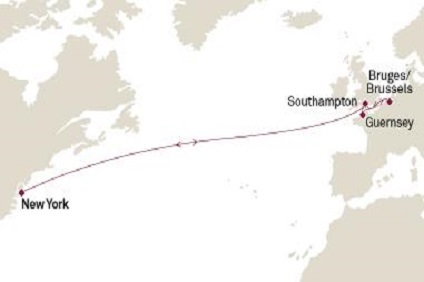 All ships offer alternative dining options: Kings Court & Todd English Restaurant on QM2 and the Lido on QE2. 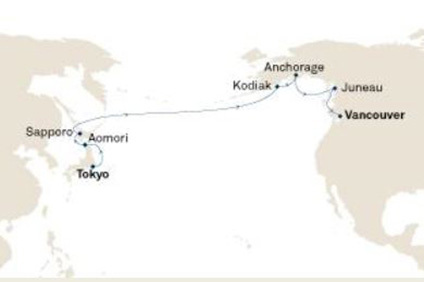 Gratuities are not included in the cruise fares. A suggested per person daily amount will be charged to your shipboard account and distributed to your cabin steward, dining room waiter and other personnel. For bar and salon services, a 15% gratuity is automatically added to all charges for your convenience.